IIITH-ians have learned not to bat an eyelid at the sight of Vinay Singh scorching the campus roads at 12 in the night. For this 24-year-old captain of the football club, it is a way of unwinding. In a free-wheeling conversation he tells us how sports is therapeutic and hopes physical activity is given a priority in higher educational institutions. What do active recreational clubs have to do with a student’s choice of technical institute? Everything, according to final year MS by Research student, Vinay Singh. It’s a known fact that a large part of student life on campus is what goes on outside the classroom rather than inside. For the sporting enthusiasts at IIIT-H, there are clubs for cricket, basketball, volleyball and football. Football has a decent ground for playing the sport and is steadily active all year through. While speaking about the football club and his own captaincy, Vinay traces his childhood which was far from sedentary. As a child, he always enjoyed running especially the sprinting events. In high school, he got into the Regional track events twice and represented UP in the KV (Kendriya Vidyalaya) National-level events once in the long jump, 400 m hurdles and pole vault (Under-17) categories. Luckily for the sport-inclined Vinay, he didn’t have to make a choice between work and play. He attributes it to his supportive parents, especially his Army dad who had only one condition: “So long as it didn’t affect my scholastic grades, I was encouraged to participate in sports,” says Vinay. He evinced a keen interest in following in his father’s footsteps and wanted to join the NDA. However he was dissuaded by his dad who sought a more civilian life for his own son. Inspired by a cousin who was then studying in one of the IITs, Vinay then chose the academic path too. “I was just average in academics”, he laughs, adding, “But I always liked Science and Math”. 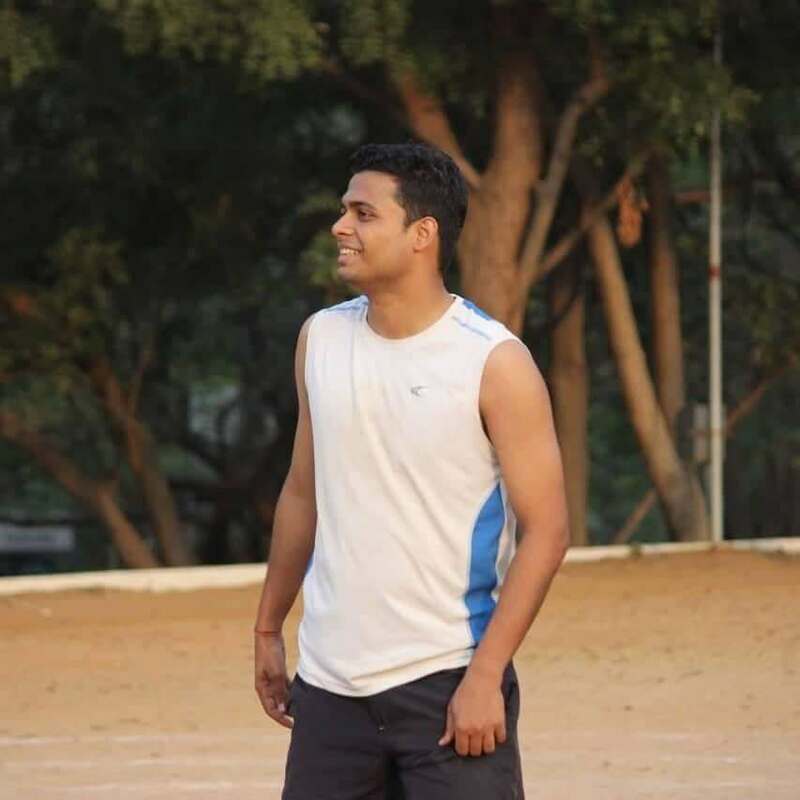 Football has always been Vinay’s first love and he was happy to get back to it at IIIT-H. “In KV, there were fewer resources for football. Plus more number of students played cricket versus football”, he says. Unlike in cricket, in the case of football, one needs to be active the entire time on the field. 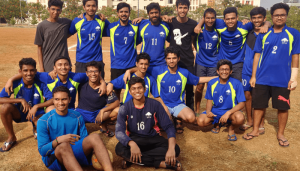 The football club on campus participates in competitive matches with inter-state engineering colleges such as JNTU, BITS, St. Martin’s, Mahindra Ecole, and so on. Friendly matches are also held with JNTU and BHEL, typically in the evenings. Every academic year, the club plays at least 4-5 tournaments. It is the seniors who assume the mantle of mentors and direct the juniors to play in a particular way – either defensively, offensively or mid-field. Expressing the lacuna felt by the absence of a coach, Vinay says, “There are plenty of good football players but all we need is a good coach to strategize and orchestrate the game for us”. Currently the seniors themselves pick players depending on which student is good at sprinting or who has a bulky build and hence would be great at tackling and so on. Faculty members who are on the Sports Committee help out in various ways. “We share a great relationship with Prof. Kamalakar sir who is the Head of the Physical Education Centre (PEC). He even used to play with us in the evenings but has stopped after he injured his knee,” says Vinay. He goes on to share fond memories of the early years on campus when Prof. Kamalakar used to ferry the players to tournaments in his own car. Prof. Suresh Purini is another affable faculty member on the Sports Committee who the team is fond of. Trying to sync all players’ availability has been a bit of a challenge. Morning sessions are tough with first, second and third year students having morning classes. But Vinay evinces hope that soon the entire football ground will be fenced and artificial lighting will be provided. “We are eagerly awaiting that because currently we are restricted to daylight practice and it’s own accompanying challenges”. 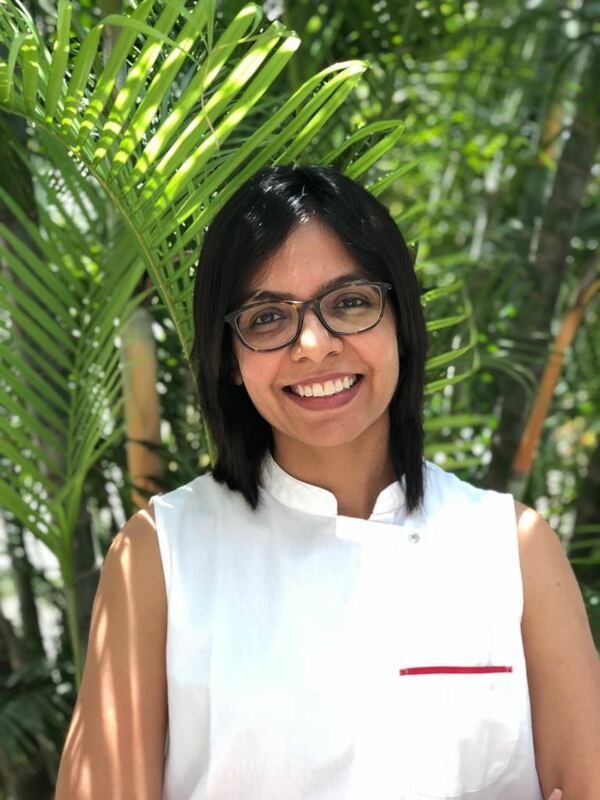 Apart from all the sporting accomplishments, this spunky youngster is a research assistant under Dr. Manish Srivastava as well as a teaching assistant for the course on Introduction to Sanskrit taught by Dr. Peter Scharf. His research work is on informal social media text in the Indian subcontinent. 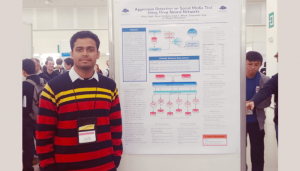 One of his papers on information extraction and social media scientific analysis on code mixed text, such as Hinglish was published and presented at the Annual Meeting of the Association for Computational Linguistics (ACL) in Australia in 2018. Another paper on detecting the level of aggression on social media texts such as FB posts and comments was presented in Belgium at the 2018 Conference on Empirical Methods in Natural Language Processing.